In the movie Star Wars, Luke Skywalker went from being a simple farm boy to becoming a Jedi with the help of Obi-Wan Kenobi. His entire understanding of the world changed in a short amount of time. Things that he had never before thought possible were revealed to him through his study of the force. Luke experienced a shift in consciousness that enabled him to reach a higher level of understanding. Once he had shifted his consciousness, Luke was capable of great things. Imagine for a moment that tomorrow you wake up to learn that aliens from another planet have arrived here on Earth. Your whole understanding of the possibilities that you once knew to be true would now be entirely different. Or maybe you wake up in the morning with a new superpower. Well, it’s true! You do have a superpower of awareness. You can use your power to shape your world into a more beautiful realm for yourself and the people that you connect with. You can have your own Jedi mind experience by expanding your consciousness. A shift in consciousness can be as simple as looking at your environment in a new way. We are talking about a shift in consciousness in a metaphysical or spiritual sense that changes your core belief system. Your current personal experiences of work, home, people, emotions and the objects of your daily life are one level of consciousness. There are other deeper levels that we can become aware of. If we shift our focus to these other levels, we expand to a higher level of existence. 1. You are not who you once were. Looking back on your life, you think that the person you were in your 20’s was immature and a bit selfish compared to who you’ve become today. You’ve made a significant change in what you once thought was important. Change is difficult and sometimes painful. Occasionally a traumatic loss helps us to gain perspective on our lives. We have to let go of what no longer serves us as we move along the path to enlightenment. This could be a job that was holding us back, a relationship that doesn’t allow us to express ourselves fully, or an old pattern of behavior that was unhealthy. The evolution of your being is an ongoing process but you’ve already come so far. You know that the future holds more change and you are prepared to embrace it. 2. You feel motivated to change. Something is driving you to make a significant change in your life. Your intuition tells you that this is the time to take a leap of faith and act. The new energy that you are receiving is vital energy to keep you moving forward on the path that you are meant to be on. The motivating energy that you now feel will speed up the pace of change. This rush of energy feels like it has come at the right time. You are in charge of how you use this guiding energy. Harness this motivation to achieve your goals. 3. You feel hyper focused. In the past, you were distracted by things that were not important, but now you have a laser focus on what is genuinely important to you. Your priorities are clear and you don’t waste time on things that are unimportant. 4. You crave a more meaningful life. You are not satisfied with the status quo, even though things are pretty good. You know they could be better. In your search for meaning, you have been reading and learning more than usual. You are constantly feeding your mind with purpose-driven fuel. The more you learn, the more you want to learn and do. 5. You find your higher purpose. You were meant for great things. Your true self is destined for more and you are ready to receive guidance from the Universe to lead you to where you were meant to be. You become aware of something greater than yourself that you will be an integral part of shaping. Your legacy to future generations is within your reach. Keep working toward that purpose and share your gift with humankind. 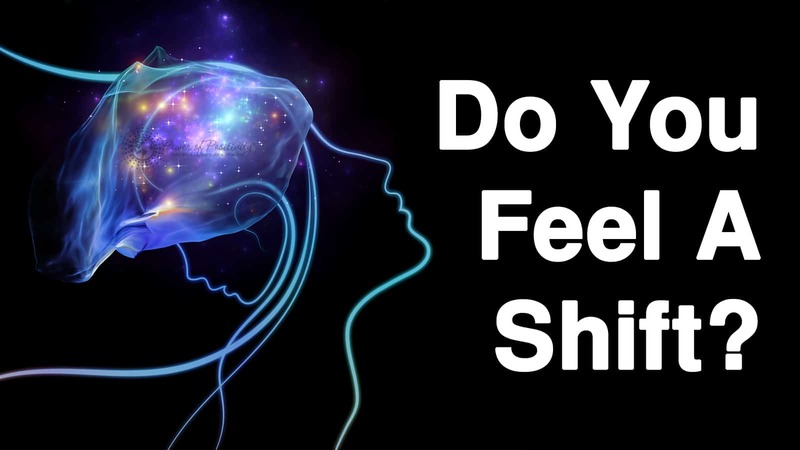 If you are experiencing these signs, then you can be at peace knowing that your forthcoming shift in consciousness will lead you to a more fulfilling life. Keep following your intuition as it leads you to becoming the amazing human that you were meant to be.